During labor and delivery, many factors influence the health of both the mother and the baby. The support from a doula has been shown to have significant effects on improving mother and baby health. First, doulas reduce cesarean sections. “Continuous doula support was a risk-free intervention that offered adequate pain relief and reduced the need for cesarean delivery” up to 50% of the time. While sometimes a cesarean section is medically necessary and lifesaving, they can have serious side effects for the mother and baby. 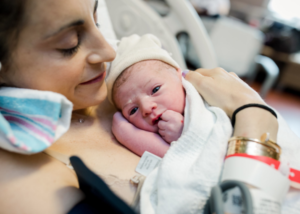 Considered a major surgery, cesareans include a lengthy recovery impacting the amount of time the mother has available to bond and take care of her baby. Second, doulas decrease all medical interventions not just cesareans. 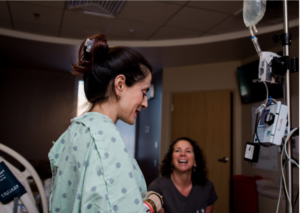 The same randomized study found that doulas reduce the use of epidurals, pitocin, and reduce the need for mechanical assistance with forceps and vacuums. Doulas help to create a more holistic birth and birth experience with position changes and coping techniques that work in tandem with the medical team. Reducing these interventions improves baby’s APGAR scores at birth, improve bonding, improve breastfeeding, and reduce healing times. Lastly, doulas have been shown to have a greater impact on a women’s attitudes and beliefs around her birth than anyone else present at the room. This emphasizes the importance of the quality of the care is critical in supporting the laboring woman. Birth should be about the birthing family: the mother, her partner, and the baby. They should feel comfortable, supported, educated, and inspired on their journey. Doulas can work with the family to co-create a positive birth experience which reduces interventions and facilitates family bonding.